Hey y'all it's Monday and I'm blogging for last week because I got busy, but this recipe is fresh seeing as I made it on Saturday. Yes I will blog twice this week (YAY!). Anyways my inspiration came from going out to dinner with my one of the best girlfriends I have (Jules), we went to Freebirds and I had a spinach tortilla burrito and it was so yummy. I'm not creative enough to make up my own recipes...yet so I borrowed this one from Dollar Friendly Meals. Enjoy! I am baking a difference! By participating in Share Our Strength?s Great American Bake Sale, I am committed to raising awareness and funds to make sure no kid in America grows up hungry. 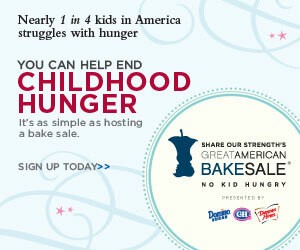 This year, nearly one in four kids in America will face hunger. That?s more than 17 million. But, there is hope. Share our Strength is working to connect hungry kids with programs that can help them get the food they need to thrive. $4 can help provide a child facing hunger with a backpack full of healthy food over a weekend when school meals are not available. $9 can help connect a child with healthy lunches during summer when school is out. $35 can help a child care center provide free afterschool snacks and suppers to at-risk children all year long. $65 can provide a grab-n-go breakfast cart to an elementary school so that every student starts every school day with a healthy meal. * Gifts made to Share Our Strength represent a gift to our organizational mission and are used to reach the highest number of children facing hunger in America. Share Our Strength combines your gift with others to address child hunger community by community, state by state, all across America. Let's roll up our sleeves, gather our ingredients, pre-heat the ovens and together we can bake a difference! They will also be providing select free samples of their new vitamin C collection. 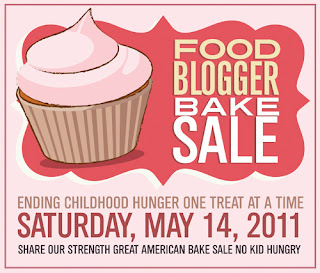 Food Blogger Bake Sale Hurray! May 14 2011, save the date....WHY?!?!? Because its your chance to help needy children. 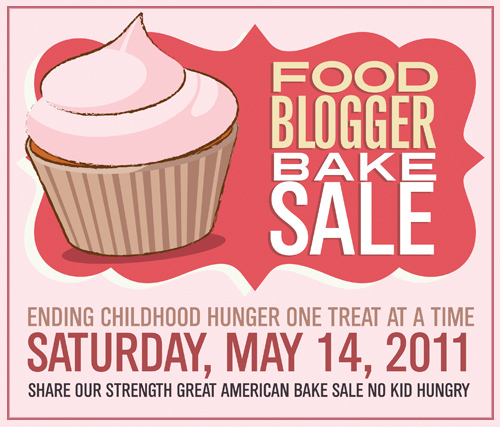 Sunny Sweets is the new host for the 2011 Food Blogger Bake Sale and we need your help to raise money to keep children in America from starving, and you get to enjoy some of the most amazing sweets in Houston. We still have not found a location but not to fear we will post as soon as we know where we can set up. Also I will be posting pictures and recipes of the delectable creations we will be serving that day. I hope to see y'all there. 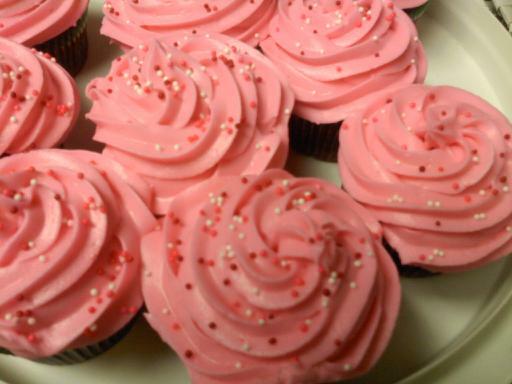 This blog is intended to share with y'all my baking adventures. I hope that I can inspire y'all to bake some of the goodies posted here. I will try new recipes and hopefully along the the way I will discover a favorite that will stay with me. I already have many go to recipes but there are many more out there that I would like to explore. 1. In a the bowl of a stand mixer fitted with the paddle attachment, cream together, cream cheese, shortening, and butter until well combined. 2. With the mixer of low, gradually add the confectioners’ sugar until thoroughly incorporated and smooth. Add vanilla and mix to combine.